The spring is the 7th largest in Missouri with a discharge of 81 million gallons per day. 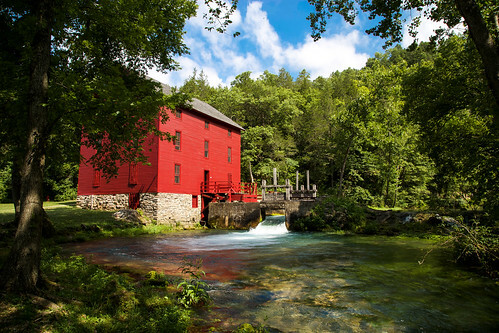 The red grist mill was built in 1894 and remains vibrant among the area's beautiful landscape. This area is located in the Ozark National Scenic Riverways.